AYUDH - Awaken Youth; Unite for Dharma holds the unique opportunity to create change locally, yet on a massive scale. 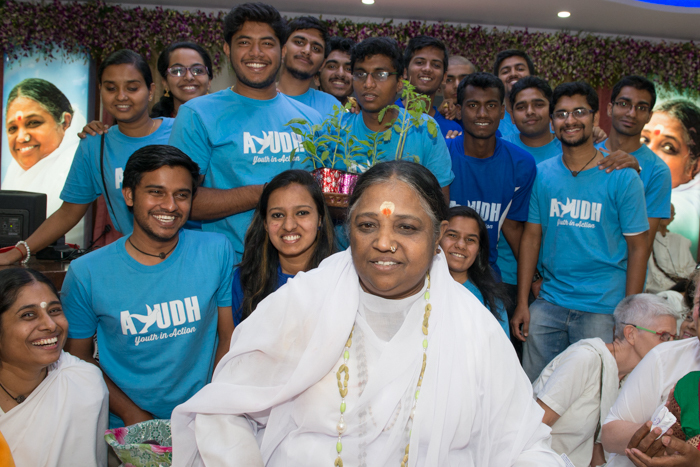 AYUDH stands for Awaken Youth; Unite for Dharma, founded on 1st September 1985 is the international youth movement of Mata Amritanandamayi Math. AYUDH seeks to empower young people to integrate universal values into their daily lives. Starting with themselves, AYUDH aims to help establish a future of hope, peace and social engagement.